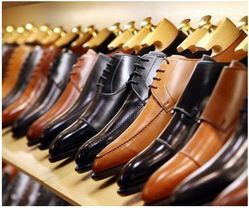 The Union Cabinet chaired by Prime Minister Shri Narendra Modi has approved the special package for employment generation in leather and footwear sector. The package involves implementation of Central Sector Scheme “Indian Footwear, Leather & Accessories Development Programme” with an approved expenditure of Rs. 2600 Crore over the three financial years from 2017-18 to 2019-20. The scheme would lead to development of infrastructure for the leather sector, address environment concerns specific to the leather sector, facilitate additional investments, employment generation and increase in production. Enhanced Tax incentive would attract large scale investments in the sector and reform in labour law in view of seasonal nature of the sector will support economies of scale.